I was seeking for the tool which can help me to complete my assignment and found this plugin which can easily fetch leads from LinkedIn, CrunchBase. The best at very less time I was able to connect with the people to whom I was trying to connect so far. The best lead generation plugin. I tried to approach them for a service but AeroLeads do not accept less 300 leads for their service work. As I was looking for only less amount of leads. The exclusive benefit that I found for this software is that an individual can easily fetch the data that they were seeking for. "A good tool to generate prospects"
Aeroleads is a good CRM tool for generating leads or prospects. It is a multipurpose tool, unlike other tools which can only find emails or just can add leads to the CRM databases Aeroleads has a floating button whenever you open a linkedIn profile you can just click the Aeroleads icon and add the leads to your Aeroleads dashboard. Now when you Aeroleads dashboard you can find the added prospect with name title and employer in addition to it you can find email and phone number of the prospect and an option to add that lead to your CRM tools such as salesforce etc. Aeroleads finds only business emails and phone number the phone number some times will be the corporate phone number of the company and not the office desk phone number of that prospect. It gives a free trial with 10 free credits but it deducts credits even it could not find accurate email or phone number. There is no monthly free credits, once you have exhausted the free credits given you have to purchase for more credits. Aeroleads has monthly plans starting with $49 with 100 credits. Aeroleads generate prospects when given with the requirements but it charges $1000 for 1000 prospects which is pricey comparing to other softwares available in the market. Apart from that it has a wonderful dashboard with many options. This is useful to find the business emails and phone numbers of the added prospects. It has a dashboard with various options which is well organised and is useful in finding the information which is not available in the web. This helps recruiters, sales and marketing executives. "Great database of leads "
My needs are a bit different than most people looking for leads. I need contact information for specific people (usually because I find them on LinkedIn and need to get in touch). I think every person I've looked for has been found, and the rating of "confidence" for the contact information is very helpful. I also had a specific need in terms of subscription, and the founder contacted me personally to work with me for a plan that fit my needs. I've gotten a couple of bad email addresses, but have always been able to expand on the information they give me in order to find the correct one. I'm trying to find actual humans who can listen to a personal appeal. This has allowed me to get around the (often fruitless) practice of calling a company's general number and trying to get help. It provides emails of the prospects just in one click. Also, services of AeroLeads has helped alot for generating over requirement. It doesn't have an email automation process. We have built an ERP solutions and team of AeroLeads has helped us to connect with many manufacturing sectors by providing the leads of decision makers. In Tata consultancy services it has played a vital role in process of finding leads and prospects thus it's always a recommended prospecting solution for all the small and big businesses. "Good Service but unprofessional staff"
I like the service, in general. However, I was getting bombarded with solicitous emails that failed to meet US FTC CAN-SPAM Act regulations, and when I tried to explain those I was ignored. Then the website stopped working so that I had to re-set everything to get my credits. However, I will say that the problems seem to have resolved in the last few months, and the staff is learning to be more professional after many complaints. I wish the staff were more professional and opted for more respectable channels. I also wish that it could be used on Firefox as well as Chrome. I don't like having to use one specific browser only. I am finding contact information for people we wish to reach, but it is not helping with our overall audience increase. "Worrying from the first click. " Never made it to boot-up. Faulty payment options prevented us from continuing or trusting the product in question. Errors caused by the checkout screen immediately had us questioning the reliability of the above-mentioned company. Screenshot included in review below. I was purchasing the mid-level Climb plan, and upon checkout was surprised by a confirmation that I've subscribed to the full-out Supersonic Plan, which is 6 times the price of what I originally intended to invest. Not only was this option to choose "Supersonic" not available to me upon checkout: see http://imgur.com/ZRNXucL for the screenshot there was no confirmation of payment or receipt issued. Does the product work? Perhaps but our team won't know now. This was a ridiculous client experience. And jarring especially if the service proves unreliable from the first few minutes of our experience with it. In summary: I intended to purchase a subscription. I was confirmed for a plan that doesn't even exist on the purchase screen, that's 6 times the price of the plan I chose. See attached screenshot above for reference. Is there opportunity for redemption? I will update my review based on how this entire process unravels. We're looking to integrate a sales platform into our sales push, requiring leads that are qualified. We needed something light to generate prospects for us, being able to integrate with social platforms. Hi, I am the founder of AeroLeads. I am really sorry that you had problems with the payment gateway. We recently moved from 2Checkout (our previous payment processor to new payment gateway) which had caused some issues in taking payment. This issue remained on and off for 2 days only and now the payment works really well. Can you please try again as I am sure this time you should have far better experience. I can be reached by (415) 830-6012, by mail "pushkar at aeroleads.com" as well as through site chat if you are having any problem. We put our user experience and their satisfaction at the highest priority and I am committed to resolve any and every issue which our users face. I liked how you can access Aeroleads within LinkedIn. It was hard to get the leads. I didn't know where to go once I submitted a contact via LinkedIn. I would say to reach out to someone in support in getting direction as to where the contact info goes after you click on the Aeroleads button on LinkedIn. I'm trying to find current email addressed for marketing contacts who work at companies that make sense to advertise via our platform for reaching out to developers and designers. "Great product, but didn't fit our needs"
Ease of use and integration w/ chrome. Very easy to setup and get started. Our market wasn't the best fit for the product since our targets are really specialized and we have such a large database of contacts already. Trying to get more leads for our sales team. Identified new ways to prospect on different sources. "This is the easiest tool I've used for finding Prospects." Very easy to use and results are accurate. User friendly, supports bulk search, you can also import your data to be used in other tools which is really cool and helpful if you want to use your data on Aeroleads to other tools. They also have a plugin that makes finding prospects easier and adding them to your list. What I don't like about the tool is that it takes a long time for doing a bulk search. The quality of the data for my market was not so great. I like best that it is incredible simple and easy. Download the plugin and you're pretty much rolling right away. Clean dashboard that where you can make lists and export into a .csv to upload to your crm is great. I dislike the search for companies. I think that a search for specific industries or verticals would be nice. Try it out the test is enough to get started with the gist of it. Well it is incredibly time consuming to create prospect lists and I have gotten to the point where I don't have the time to dig through linkedin profiles. I need fast, efficient, and effective. Aeroleads is exactly that. "Great for the online salesman." Like the great integration with Google Chrome and LinkedIn. It is trivial for me to create a search based on potential leads and then export to a particular list with AeroLeads. Support is excellent and staff is very friendly. It would be nice to have more matches for leads to emails. However you only spend credits if they match and email address, if it is not 100% confirmed they do not take credit from you. Also, my market is much smaller in Australia so that plays a role in matches as well. If you are having any issues make sure you contact their support, very quick turnaround time. They have great service at a good price. Nothing really. They are quite good overall. We are making a platform for science and have been reaching out to a lot of people. Aeroleads helps with this. So far the tool worked properly no issues with it. Lot of similar other tools does nothing after installation. It has better support for the tool which other tools lack. It charges free credits even if it gives no contact information or wrong contact information. Would recommend to others if 5 or 10 free credits given each month. Lead Generation. Helps to identify candidate's contact information to connect. "Limited use. The product doesn't fit well within my work flow." My limited use didn't allow me to find many positives. Didn't seem to provide the "sizzle" I was looking for. I didn't feel like I got anything more than I can get out of using LinkedIn directly. Understand what you are really needing in a lead gen service. None at the moment. Maybe if I found a better way to use the service then I could find some. "Used free trial - automotive as target"
ease of downloading and importing contacts into CRM via a csv file. "Our Company uses AeroLeads "
We always get sourced we a great amount of leads. No complaints really. So far leads keep on coming in so no negatives here..
Sourcing a substantial amount of leads necessary to and relevant to our business and solution. "Good but other tools were more accurate "
"Essential lead gen tool for Businesses"
Ease of use and accuracy of emails. Chrome extension works great. Nothing really. I generate leads for businesses and AeroLeads helps me get their contact details. I would definitely recommend it to someone looking for a tool to fill their top funnel, reduce cost and time. Im saving a lot of time and resource since I started using AeroLeads. "My experience is limited due to challenging ui"
It's easy to use. I have found the email addresses are accurate. It was essential for me in forming our press and retailer lists. Great buy! There is no way to download automatically into my CRM. I use Nimble. "I just use to search for email"
Fast Speed in searching emails, it is automatically capture the information of candidate. It should automatically show up the email on LinkedIn. Emails of candidates. It is not quite a great benefit. 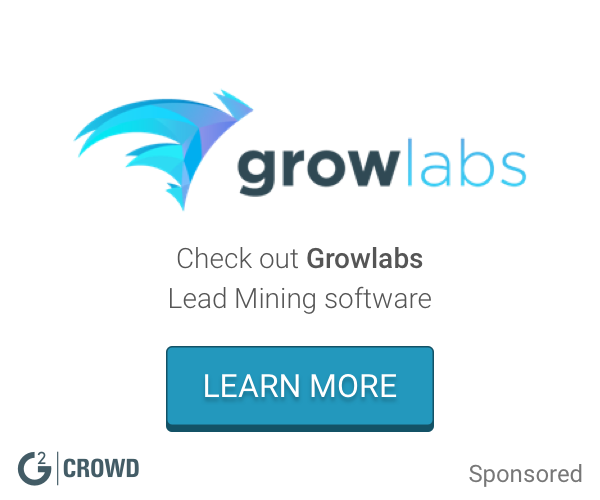 "Really awesome tool to increase lead generation"
* We monitor all AeroLeads reviews to prevent fraudulent reviews and keep review quality high. We do not post reviews by company employees or direct competitors. Validated reviews require the user to submit a screenshot of the product containing their user ID, in order to verify a user is an actual user of the product. Hi there! Are you looking to implement a solution like AeroLeads?